Another Happy Day was a darling at this year’s Sundance, and for good reason. Filled with drama that often turns to comedy faster than you can realize, there is a accuracy and realism to the dysfunctions that exists between a large family that reunites for a wedding. This 2011 independent film has one of the most perfect and dynamic casts in a long while, and the performances are stellar. Lynn (Ellen Barkin) is a mother who struggles with raising her children and having to navigate through the gossip and fingerpointing her extended family places on her. Her teenage son, Elliot (Ezra Miller), abuses both all forms of drugs an alcohol, fueling his aggressive behavior. Her youngest son, Ben, has mild Asperger’s syndrome and has taken filming his family through his video camera. Lynn is excited to be reunited with her two children raised by her ex-husband (Thomas Haden Church) and his bimbo wife (Demi Moore). Alice (Kate Bosworth) is recovering from deliberate self-harm through cutting, and Dylan (Michael Nardelli) who is getting married, the reason for Lynn’s return home. Lynn’s arrival at her parents home is turbulent from the beginning. Her father’s health (George Kennedy) is deteriorating gradually, enough to spark near-nightly ambulance visits. Lastly, Lynn’s mother (Ellen Burstyn), continuously blames Lynn for the family’s problems on Lynn’s ego. Another Happy Day exhibits much of the difficulty that goes with being a mother. Furthermore, the film portrays the difficulty in dealing with afflictions and disorders that children may have, and the backlash and blame placed on being a mother. All the while, Lynn must also be subjected to watching her ex-husband’s wife enjoy the credit for raising Paul, the groom who is the only one of her children who appears to not have destructive behavior. Lynn is constantly under attack on all fronts; her children continue to have difficulty assimilating back into the extended family, and her extended family continues to chide her on how she raises her children. Depictions of dysfunctional families have been portrayed often in American film, particularly in the past decade and a half. 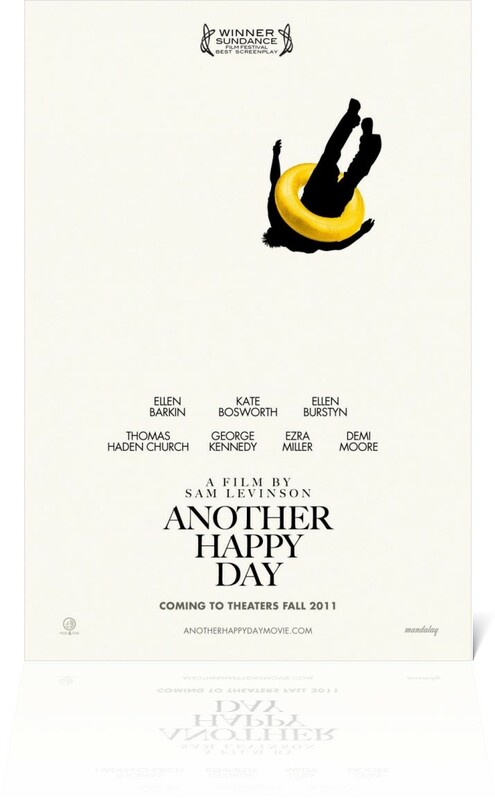 But Another Happy Day takes it to the extremes, all-the-while showing the family dynamics that appear are far more relevant and accurate for current American families. The family dynamics shown in this film reflect the gossip and humiliation that appears not only in family gatherings, but in our own media-frenzied world. At one point in the film, gossip becomes slander, and finally escalates to a frantic battle between mothers. First-time writer/director Sam Levinson has crafted a story that is so accurate and relevant, it is painful to watch, even if there is an air of realism. The cinematography often uses the perspective of Ben’s video camera which acts, sometimes, as an analog to that of a paparazzi festering on the family. Other times, there are moments where characters are providing comic relief in the background, such as a goofy in-law grabbing a bottle of booze without the rest of the family noticing due to their arguments. But the dynamics of switching between so many character interactions and storylines is central to the film’s success. What makes this film is the cast. This is not just an ensemble cast, but this is the most accurate cast for the subject at hand. There are so many fine performances in this film that there is not enough time to accurately explain and describe it all. Barkin, who also produced, pulls off one of her best performances ever, even when you take her entire talented career in mind. Burstyn, who has also played some of the most memorable mothers in American film, plays Barkin’s mother, and their interactions with each other, although seldom, are central to the guilt that Lynn is afflicted with. Even Demi Moore brings a fantastic punch to round out the film’s cast. And Daniel Yelsky, who plays the youngest son, is phenomenal as he must portray a pre-teen with mild Asperger’s syndrome. Lynn simply want to do their best for their children. Mistakes are made, even though she means well and her intentions are pure. Throughout the film, I saw my own mother. Her drive to keep multitasking and deal with rambunctious, often feuding sons. Granted, my own family was never as turbulent as seen in this film, but I do sympathize with the difficult relationships that this film explores. 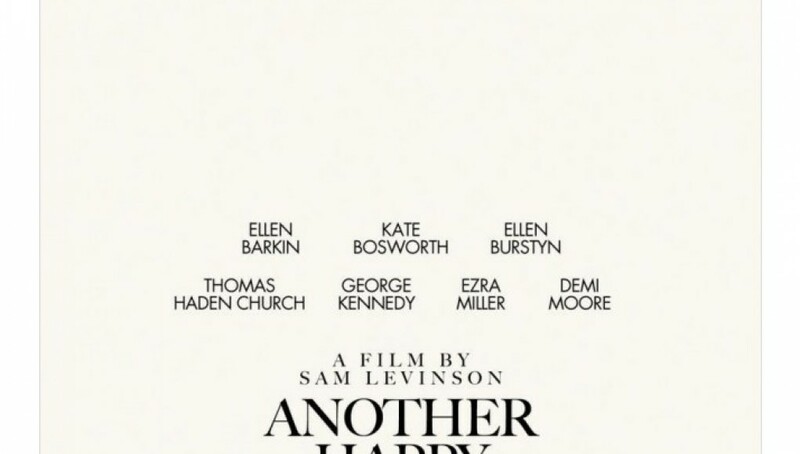 Another Happy Day is sure to make an impression this year in the Indiewood circles and will be cited as hyper-example of dysfunctional families in film.